Measuring 2.4 x 3.6m, the building has an apex roof covered with heavy-duty, heat-bonded felt with black guttering added to the fascia boards in order to keep off any wetter weather and harsh elements. Externally, the shed is clad with smooth shiplap timber coated in our exterior paint shade of Pebble, selected by the customer from our vast range of paints. Internally, the shed has a height of 2.0m thanks to the apex roof as well as an electrical pack installed meaning that it can be used as the ultimate workshop. Our electrical pack consists of four dual sockets, as well as an external duo socket for any outdoor appliances such as lawnmowers and jet washers. 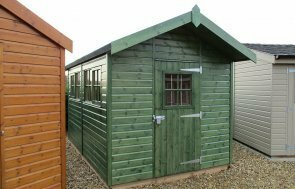 Our customer also opted to add our security pack for added peace of mind, which means the shed will benefit from the extra protection afforded by the heavy-duty sliding bolt with a fully-encased seven lever lock, ‘un-screw-able’ security screws and stainless-steel window bars. 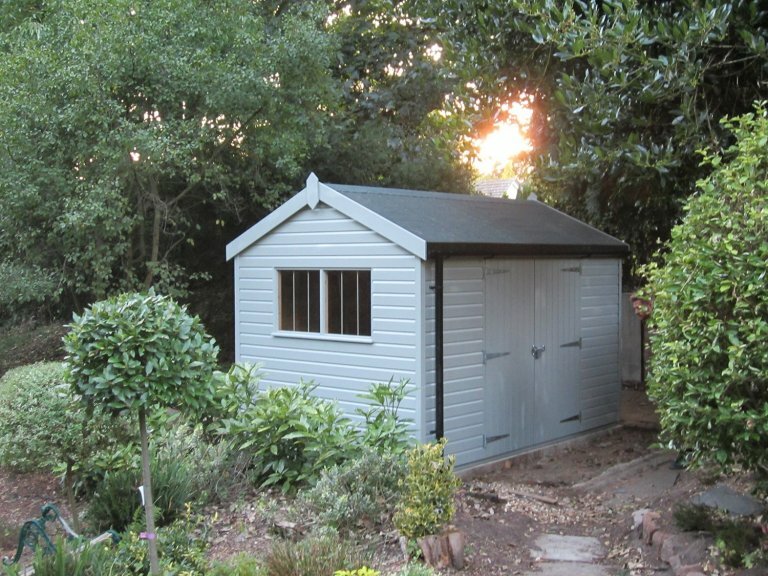 If you are seeking a high-quality timber garden shed for your extensive collection of tools, to transform into a sophisticated workshop, or just to expand your storage space, we recommend coming to visit us at your nearest show centre where there is a selection of buildings on display as well as a team of friendly advisors on hand to help. Locate your nearest here or get in touch with us on 01760 444229.